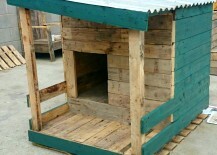 Dog houses are very simple structures (or at least, they can be). 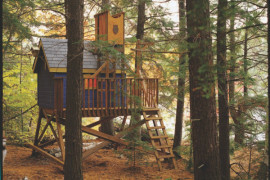 If you want to build one yourself, it’s definitely doable. Solid planning is the key. 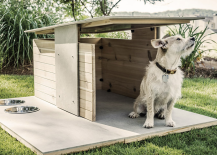 First, you will want to determine the size of the dog house you’ll need—which will completely depend on the size of your dog. 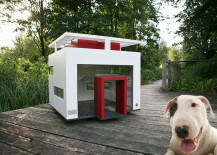 Pooch should have enough room to enter the structure and be wholly enclosed (so the house should be longer than your dog is). The dog also needs room to turn around inside the structure. 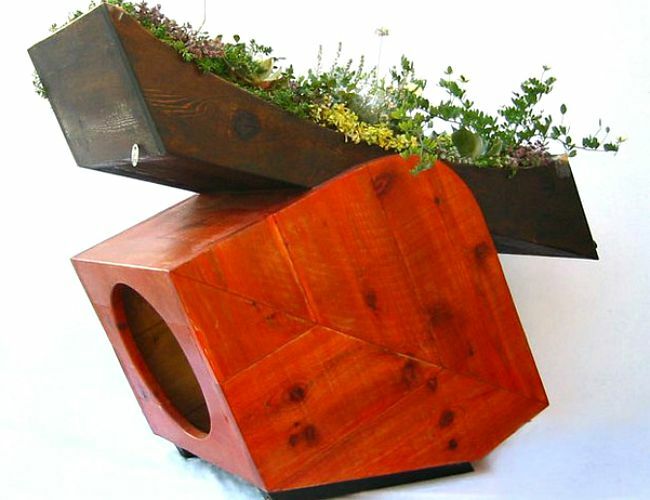 Once you have your interior dimensions down, the sky is the limit—whether you want to go whimsical or modern, upcycle materials or cut-to-order an unusual design, there are myriad ways you can go. Here are the basics for creating a structure that’s dog-safe yourself, and plenty of inspiration below. 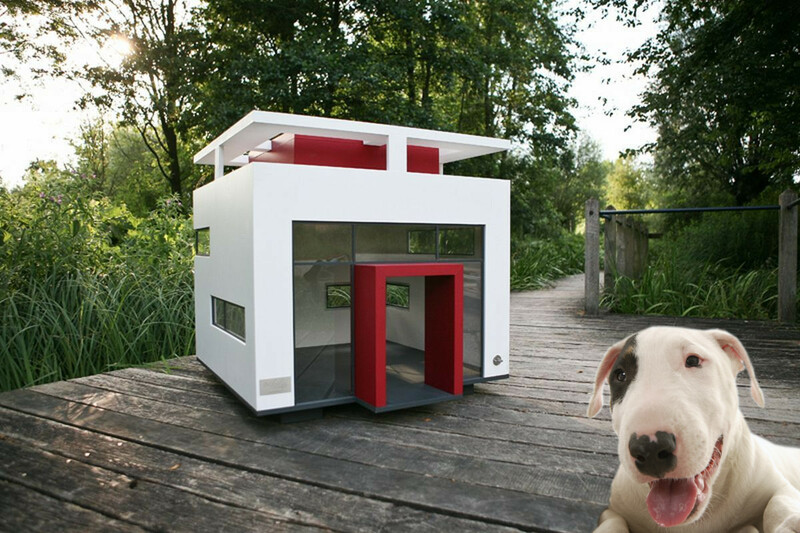 This pooch looks pretty happy in his new house! 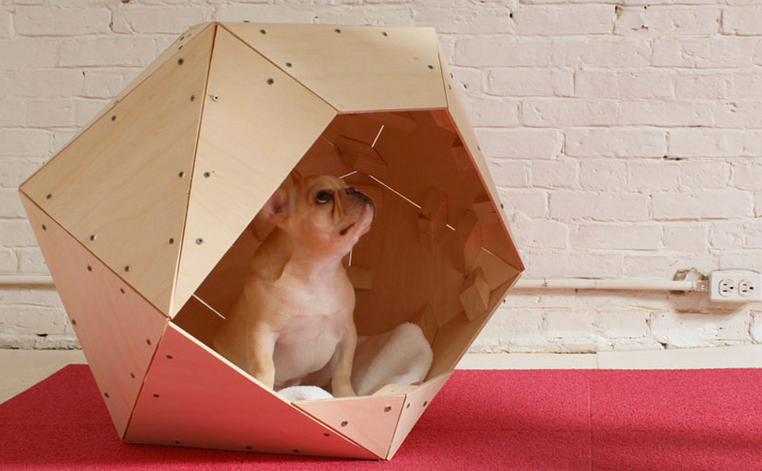 This interior-style doghouse uses geometry to make a statement; and it’s not hard to DIY (full directions here). 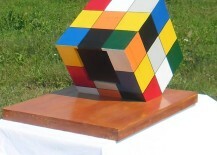 You could paint it a bright color or leave it with its original wood tones as shown here. 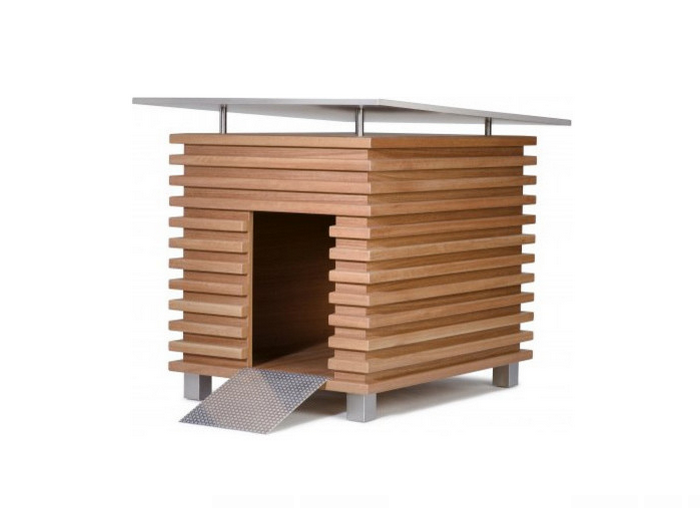 This doghouse is for a very special dog! 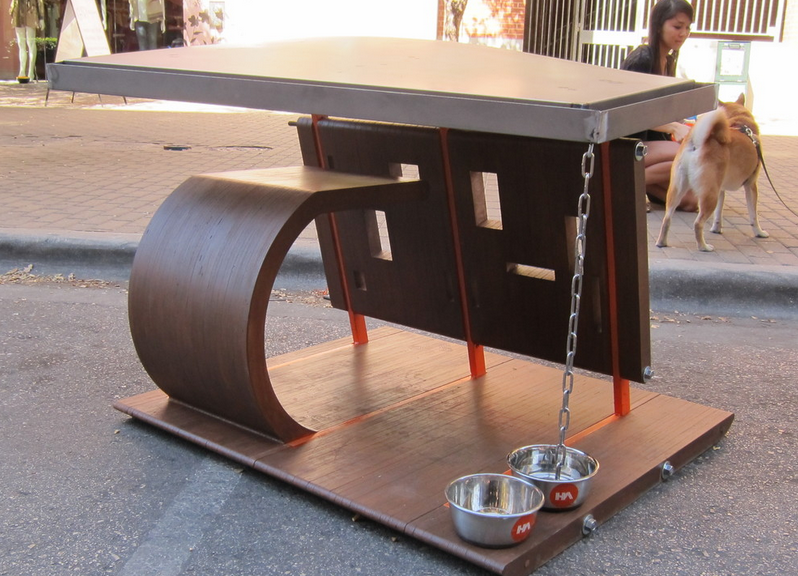 This doghouse, based on a Bauhaus design, is no joke. 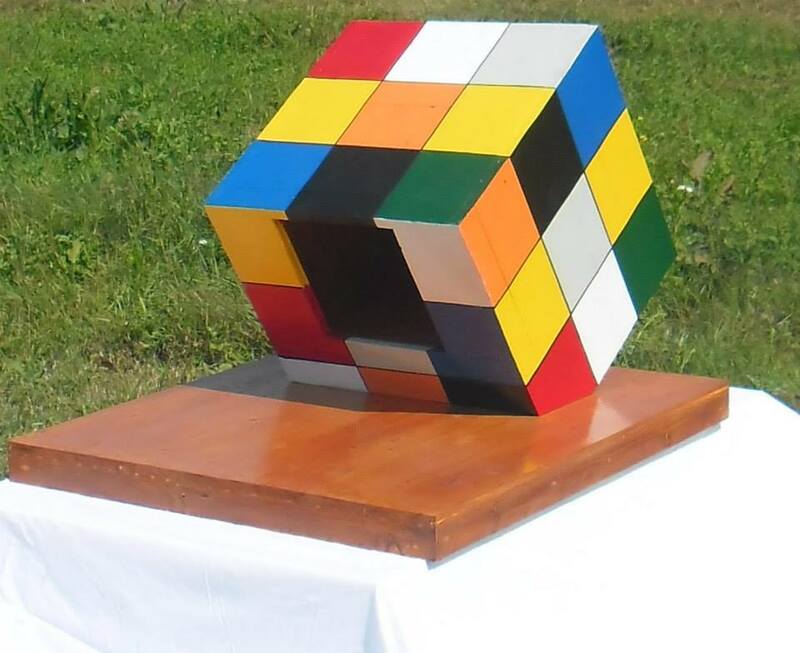 While this level of fabrication is probably not possible for a DIY project, it certainly gives you an idea of some of the creative directions you can go with design. 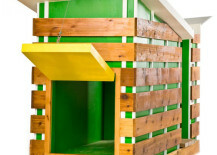 This supercool modern doghouse plays with the idea of a green roof, and still manages to be both playful and sculptural. 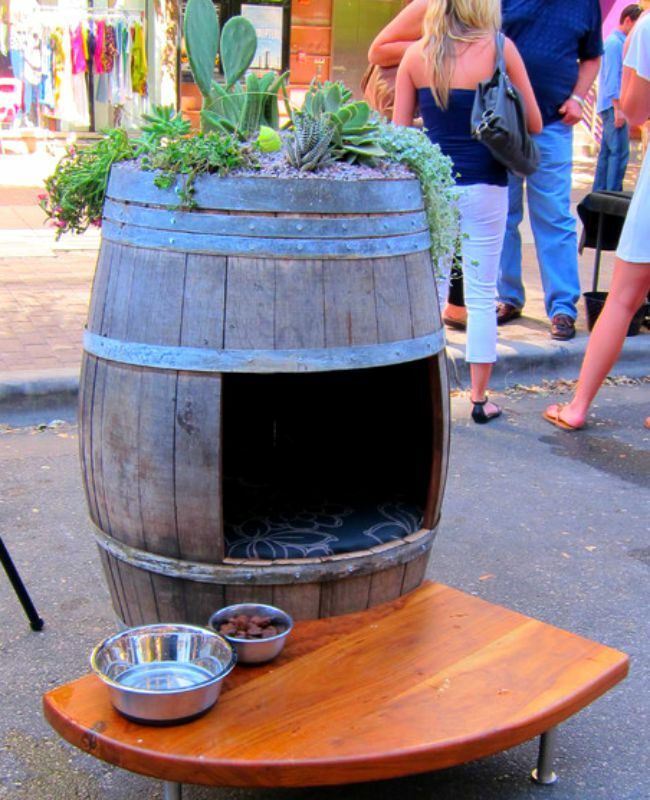 You could DIY by setting a pre-made planter in a doghouse you build yourself to accommodate it. How fun would this be to paint? 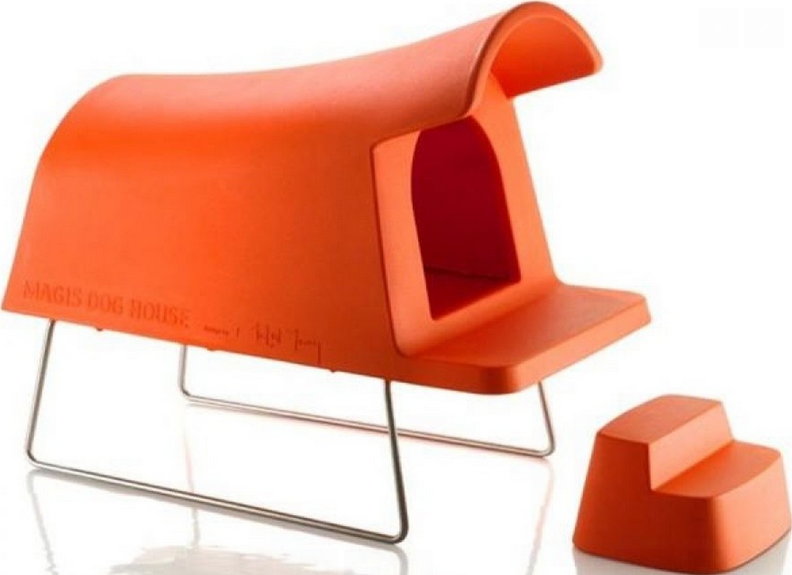 I mean, it’s a dog house! Why not have fun with it? 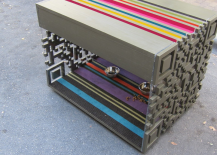 Yep, this one looks like a Rubix cube, but of course that’s just the color pattern on the outside, which you could DIY with any relatively smooth-sided canine home. This doghouse is perfect for small dogs. 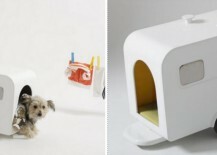 Designed by Marco Morosini, this ceramic doghouse is made to look like an old-fashioned caravan. 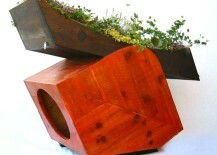 While it might be tough to make your own out of the same material, you could make a similar one out of wood. 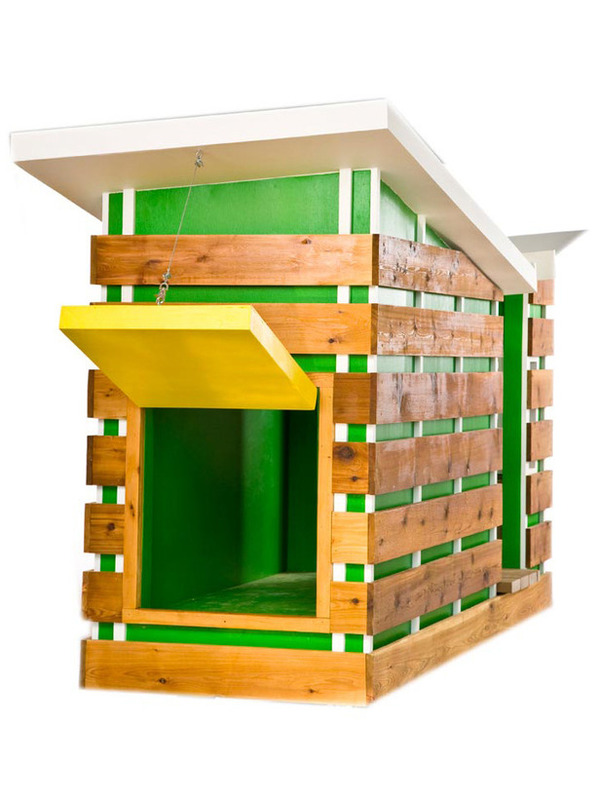 You can convert a boring doghouse to something much more interesting with the addition of some unexpected color. 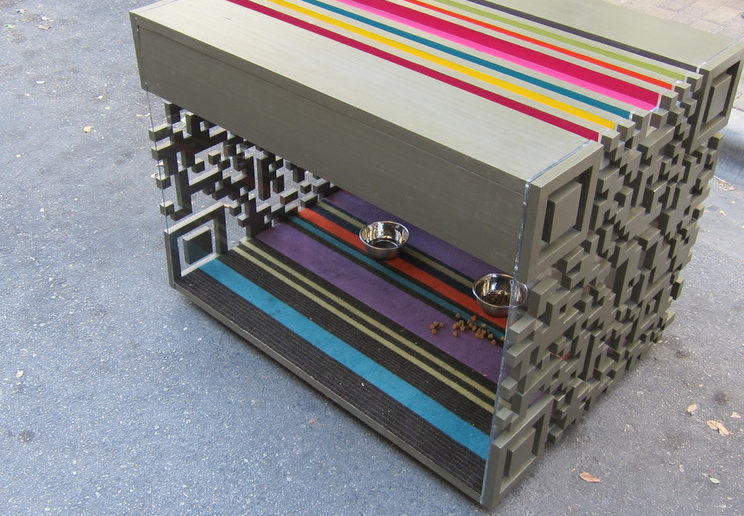 This one incorporates both a bright green pop and some simple exterior slats to take a boring box to a joyful home for pup. 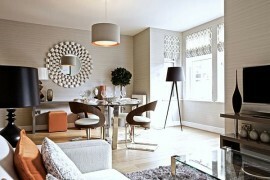 This design was inspired by QR codes. Color doesn’t have to be over-the-top. 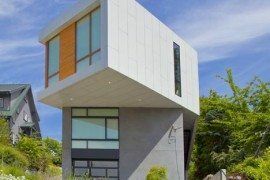 This design, made from construction leftovers, uses plenty of color, but with a restrained hand, so the overall effect isn’t too intense. 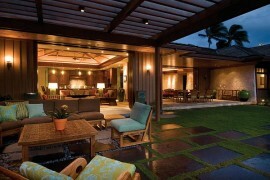 Going with all-one-color can be a great way to do something eye-catching and interesting. 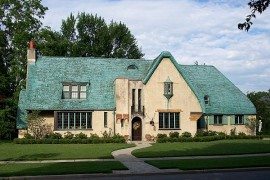 This design is probably not easily replicable to DIY, but serves as inspiration for any single-tone project you can dream up where the emphasis is on form. 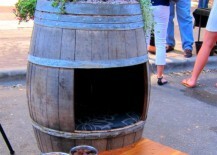 Almost anything that’s the right size for your dog can be used as a potential doghouse; how about this wine barrel? 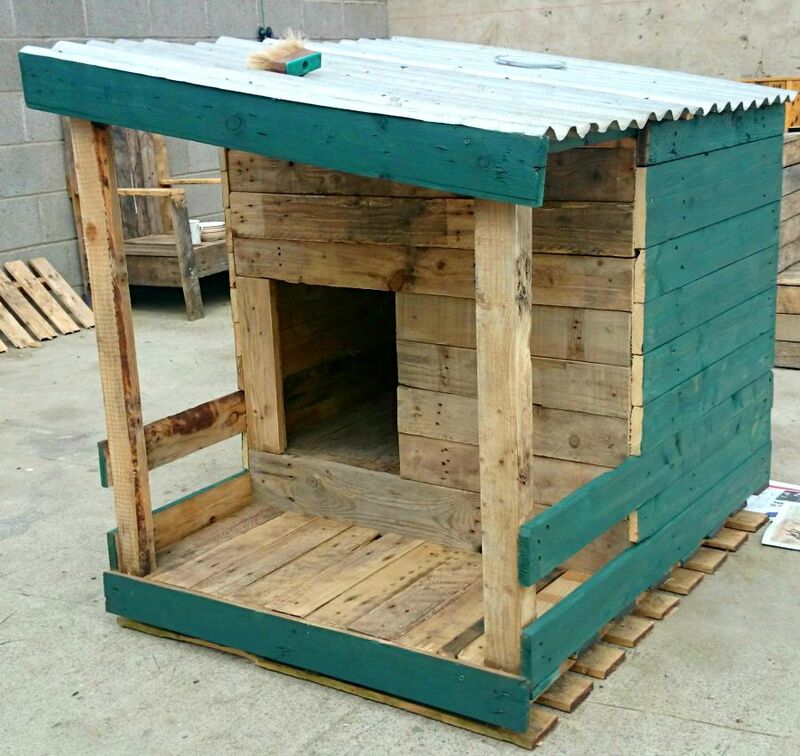 Doghouses made from pallets are found all over; but here, the addition of an unexpected color takes this one from utilitarian to cool. 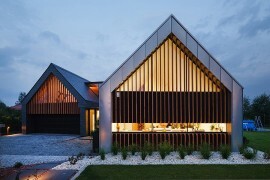 This RIB House by Hamilton and Associates architects is probably best for warmer climates, but it would keep most of the rain out with the double roof structure. 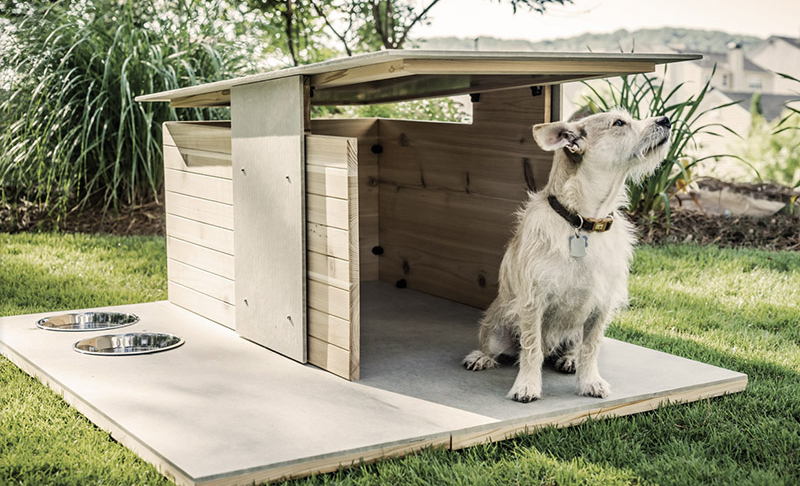 Recreating this doghouse would be difficult, but two elements here could work on a DIY project—the simple raised roof which adds interest (and keeps rain off the wood below) and chic metal walkway both add something special to an otherwise simple structure. 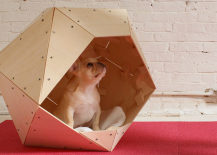 Pyramid Design’s Puphaus is modern perfection for a small- or medium-sized pooch. Made in the United States, you could pick one up if you didn’t feel like a DIY project after all. Revolutionary 3D Printer Promises To Build An Entire House In A Day!